Over the last several years, Ark Encounter in Williamstown, Kentucky has purchased seven greenhouses from The Greenhouse Company. 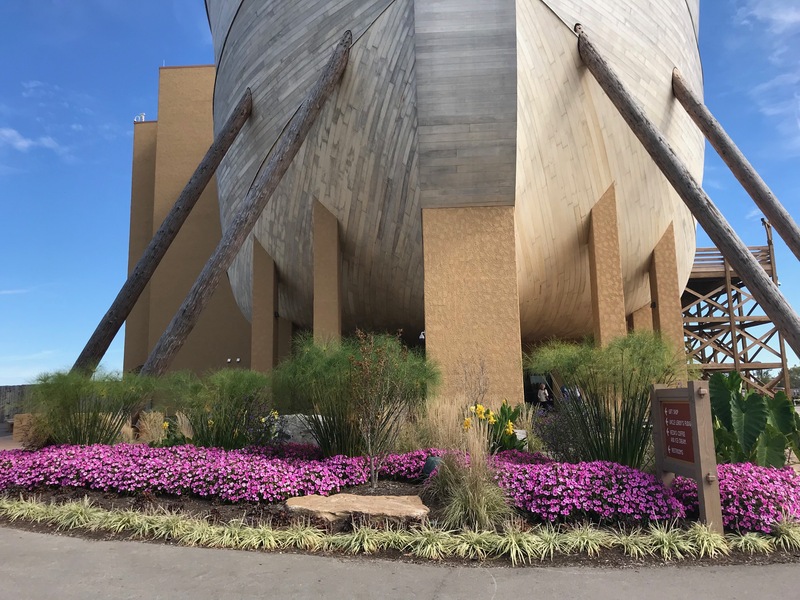 Tim Schmidt, the Senior Director of Site Development and Horticulture at Ark Encounter, stated that they currently grow about 20,000 six-inch annuals yearly as well as several thousand tropicals for their own use and for use at their sister attraction, Creation Museum. Schmidt anticipates an increase in these numbers as they continue to expand. 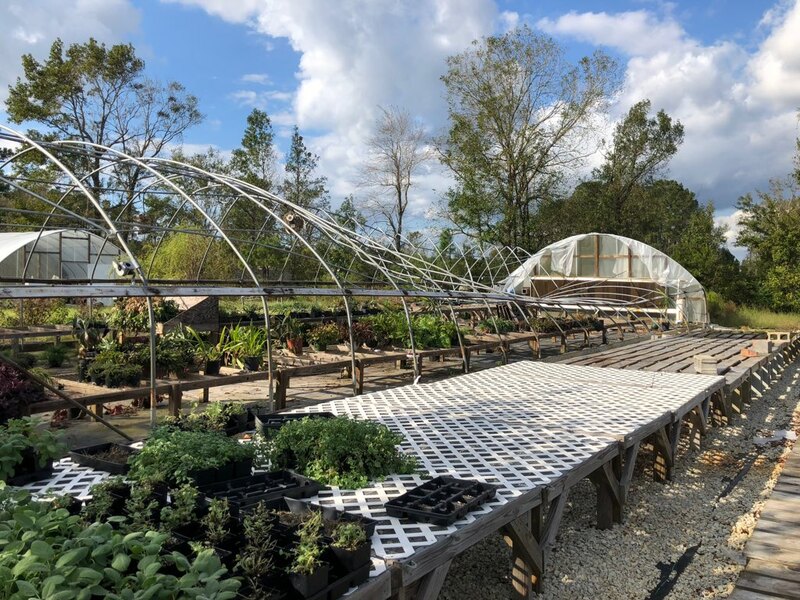 In addition to florals and plants for landscaping, they also use greenhouses from The Greenhouse Company to grow fodder and barley hydroponically for their zoo animals. The photos show some of the greenhouses on site at Ark Encounter as well as some of the landscaping where their plants are used. Order Kwic-Klip® in 4 ft pieces (box contains 25 pieces of cap or base) online or through Amazon starting in March. 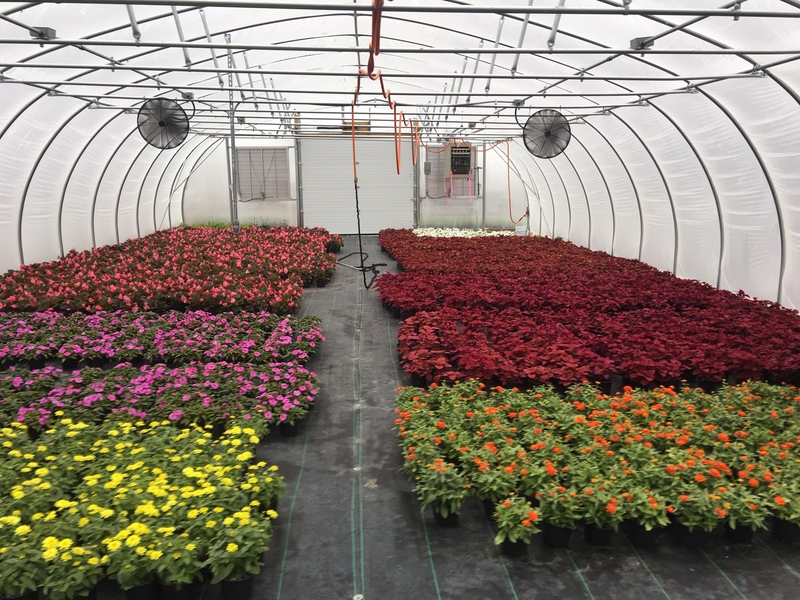 Walters Gardens’ trial manager discusses precautions the grower has taken, preparing for drastic temperature changes and how to prepare greenhouses for subzero temperatures. 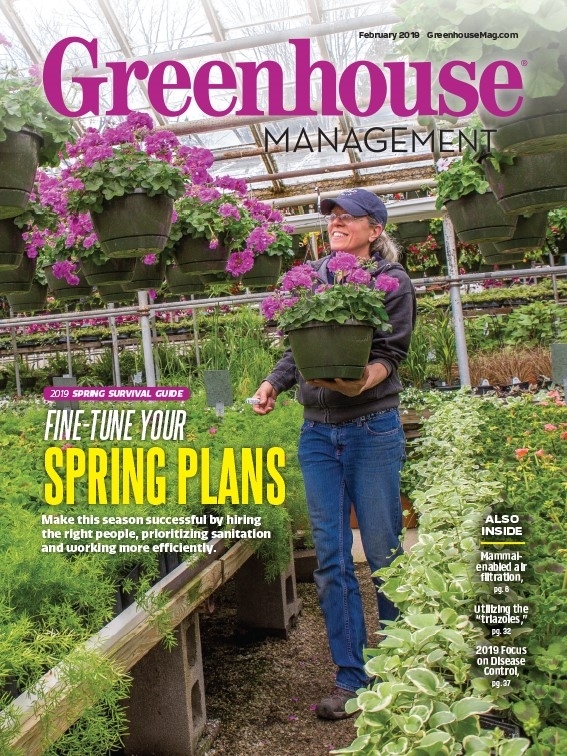 Read more in Greenhouse Management Magazine. 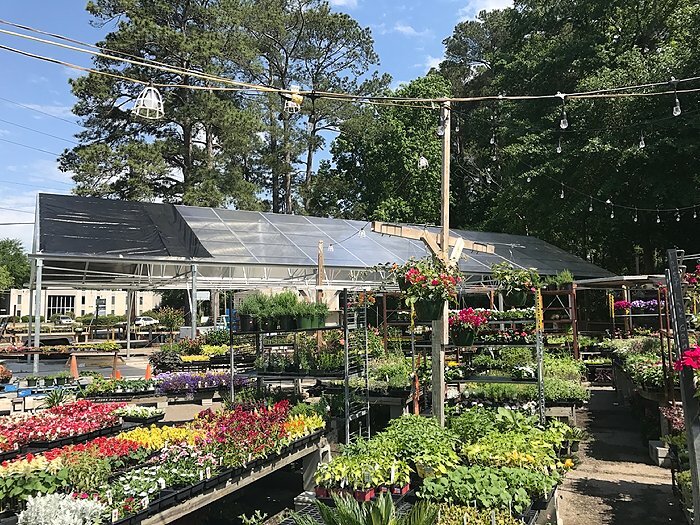 A University of South Carolina graduate, photographer, and skilled guitar player, Mark offers customers of The Greenhouse Company a wealth of knowledge in helping to design the best greenhouses tailored to their unique needs. 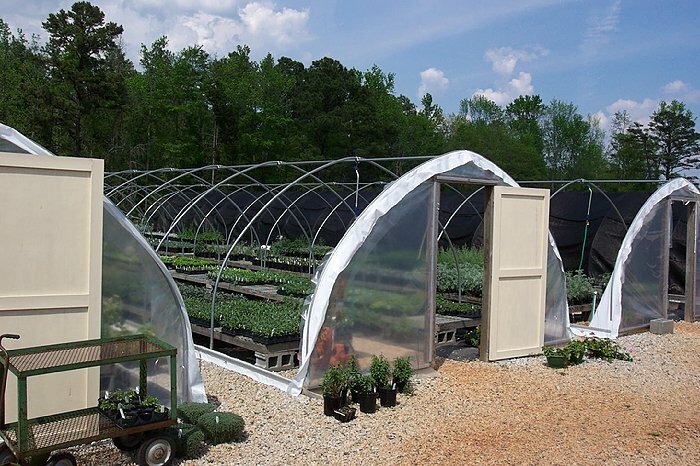 He began in the industry in the early 1980’s and has experience in greenhouse manufacturing, shipping, and sales. Mark has worked on hundreds of greenhouse projects over the years. He will be covering the Alabama, Georgia, Florida, Tennessee, and Kentucky regions and will be reaching out to you soon. Prepare Your Greenhouses Now for Spring Weather! • Re-adjust belt tension after 8 – 10 hours of operation. • Check for proper belt tension by pushing on belt between blade pulley and motor pulley with index finger. Belt should move about ½ inch with 5 pounds of pressure. • Keep replacement belts on hand. • Check belts at beginning of cooling season and several times throughout year. • Look for polished sides and cracked, dry, and/or brittle material. • Replace belt if any signs of deterioration or if in use for several seasons. • Clean fan blades and louvers as needed. • Remove foreign material from inside fan housing. Stay tuned for the launch of our new and improved online store. Check our website soon for the updated online store! 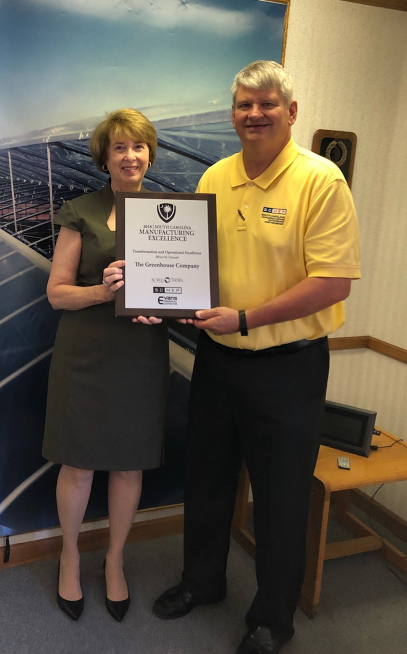 The Greenhouse Company was recently recognized as a finalist for the Manufacturing Transformation and Operational Excellence Award at the 2018 South Carolina Manufacturing Conference and Expo. The nominees for this award achieved real-world, bottom line results through the adoption of continuous improvement and/or operational excellence tools and techniques. 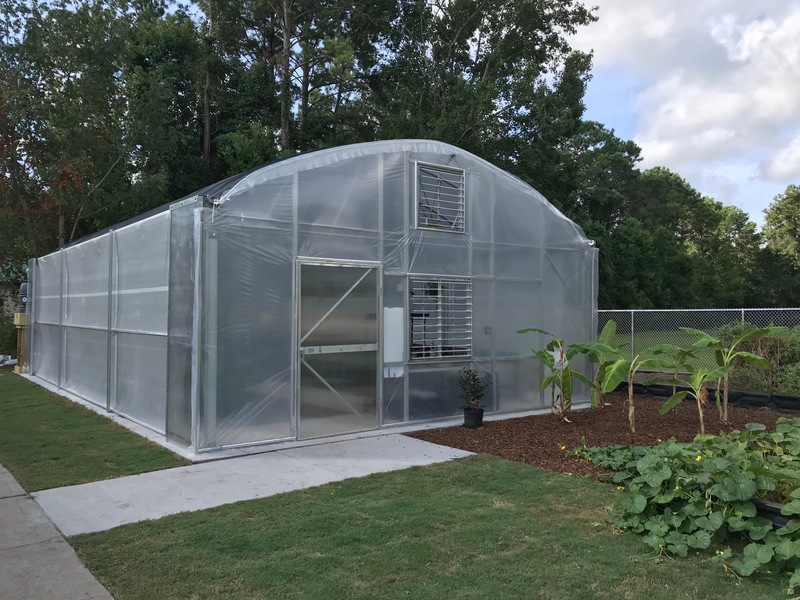 “After purchasing and using a small greenhouse with our special needs students and ECO club throughout the 2015 school year, we were approached by interested parents and staff of James B Edwards Elementary School to discuss securing a larger greenhouse for use of the entire school. Upon determining horticultural goals, Ms. Donaho suggested a particular Jāderloon® model that would meet the needs of the school. Each stakeholder took a role, whether it was writing grants, hosting fundraisers, or meeting district compliance requirements. Slowly the dream became a vision, and the vision became a reality. The process took time and tenacity with leadership changing at the school and vested team members carrying on the mission despite this change. No amount of bureaucracy could stop the JBE horticulture team! 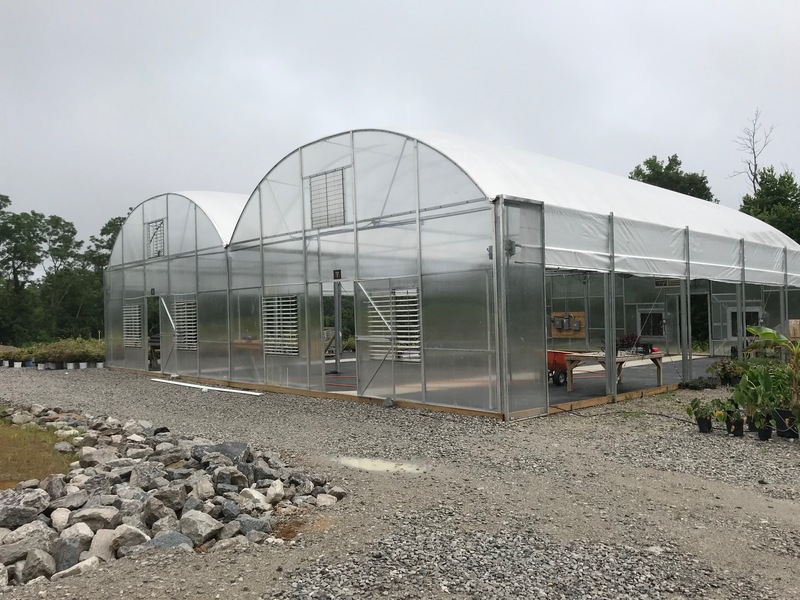 After raising the funds required and winning the support of new administration, the greenhouse was erected in July of 2018, some three years after the initial meeting. Horticulture expert and JBE mom, Kim Crane, along with multiple community volunteers now conduct a horticulture enrichment program for all grade levels at James B. This program includes the 5th Grade running their own nursery business and selling their plants at the School. 4th Grade (Non SAIL or gifted and talented) is experimenting with growing food from food scraps and a greenhouse cut flower garden. 4th Grade SAIL is growing milkweed and studying the migration of the monarch butterfly. They are also starting a seed business. 3rd grade Non SAIL are studying pollinators and native plants. They are growing indigo to sell at the native plant society plant sale. 1st and 2nd graders are learning all aspects of horticulture and making their own growing mix. Kindergarten is working with Clemson to fill raised beds with veggies that support our Back Pack Buddies Program. Our green team is involved in a seeds to shore line program where we grow spartina grass and plant in the marsh on a field trip to the Bears Bluff National Fish Hatchery. Our students bag oyster shells to support new reefs off our coast. We are fortunate to receive many grants to support the Lowcountry Sustainability Program at James B. Edwards Elementary. The Greenhouse Company is pleased to announce our newest product – the Cumberland greenhouse. 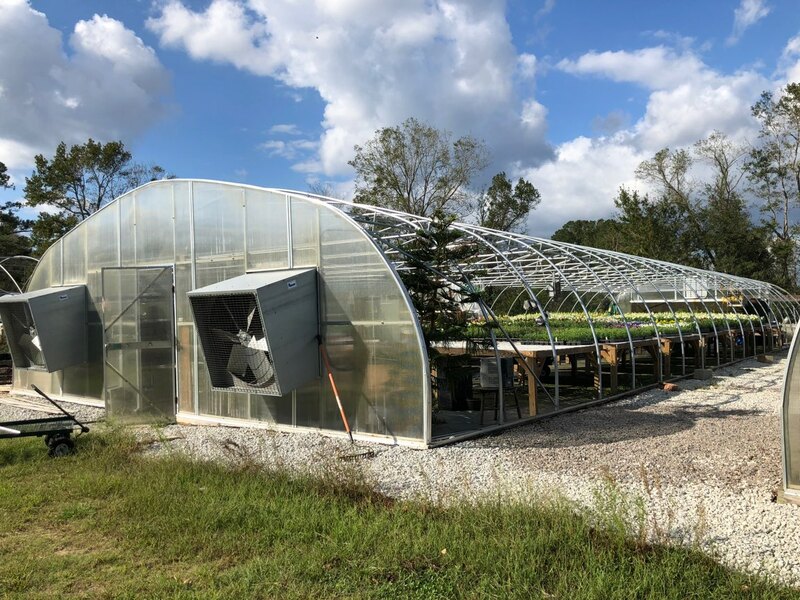 As evidenced by the photos, our Jāderloon® greenhouses recently withstood hurricane Florence in North Carolina better than a competitive greenhouse. 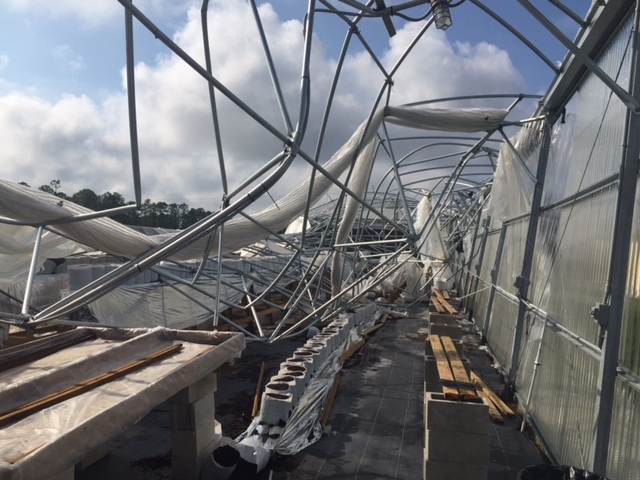 The left photo is of a Jāderloon® greenhouse in Eastern North Carolina after hurricane Florence. Note that the frame is noticeably in tact. 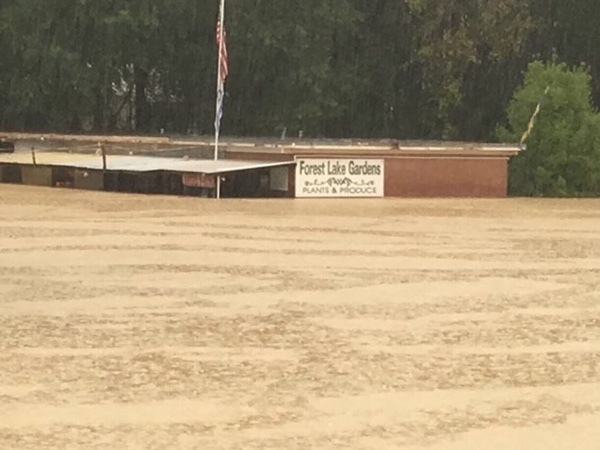 The right photo is of a competitor’s greenhouse also at the same location just after hurricane Florence. The frame is visibly bent and collapsing. 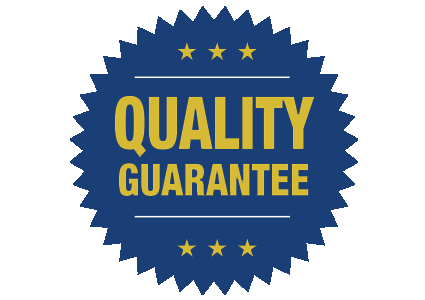 Trust The Greenhouse Company to help you protect your investment with the strongest greenhouse on the market. Come See Us at the Winter Trade Shows Coming Up! Come see us at the follow trade shows coming up in January and February 2019! 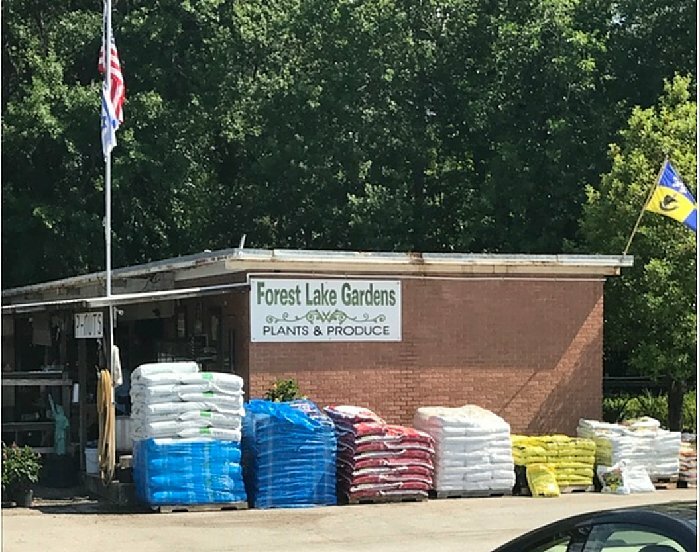 The Greenhouse Company Loses One of It’s Founders. Donald Franklin Looney, Sr. of Irmo, S.C., our beloved father, brother, uncle, and friend, entered the triumphant glory of God on November 28, 2018. A memorial service celebrating Don’s life will be held at 2:00pm on December 8, 2018 at Union United Methodist Church, 7582 Woodrow St, Irmo, S. C.
Don, the son of the late Johnnie Walter Looney, Sr. and Sarah Nunamaker Looney, is survived by his sons, Donald, Jr. and Thomas Looney and their mother Judy Moore; two brothers, Johnnie W. Looney, Jr (Nancy Flowers) and Charles Looney (Helen Brabham); and by two sisters, Elizabeth (Beth) Looney Richardson (Gene) and Suzanne Looney Newell (William) and many nieces and nephews. He was predeceased by his youngest brother, Dennis C. Looney, Sr.
Don was born on November 14, 1944 and reared in Irmo, S.C. In 1963, Don entered Clemson College with his boyhood friend and cousin Danny Derrick. Within a few days, they met another freshman, Charlie Jager of Charleston. The three became fast friends, and combining their names, Jager, Derrick, and Looney, they formed the “Jaderloon” brotherhood that would last a lifetime. 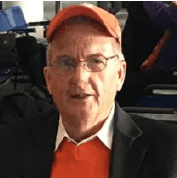 After graduating from Clemson in 1967 with an electrical engineering degree, Don served for four years and was a captain in the United States Air Force. 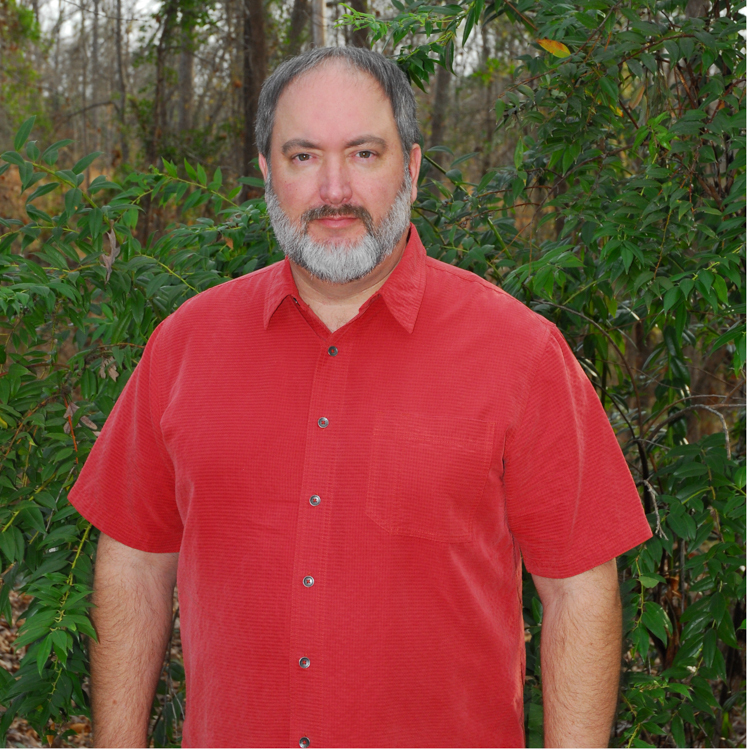 He then joined South Carolina Electric and Gas Company as an electrical engineer, and, soon after, met the requirements to become a licensed professional engineer. 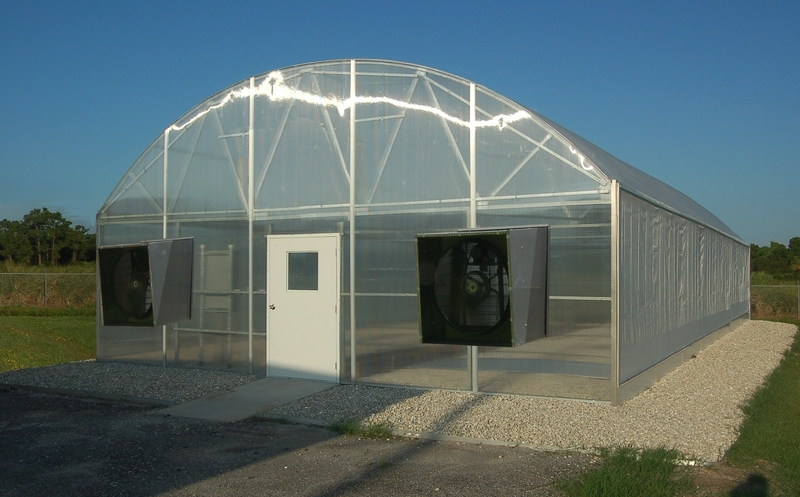 In the early 1970’s, Don and Danny saw a growing demand for greenhouses and related technologies. Seeing the opportunity and having an extraordinary entrepreneurial drive and optimism, Don resigned his position with SCE&G. With Danny, he co-founded a greenhouse engineering company that would become known worldwide for its innovative greenhouse technologies and services. In 1976, the company was incorporated as Jaderloon. Don’s numerous patented inventions demonstrated his ability to create simple, practical advancements in greenhouse technologies. In addition to being the quintessential entrepreneur and businessman, Don was active in his community. He was a lifelong member of Union United Methodist Church. For 30 years, he served on Irmo’s planning commission and was an influential member of the task force that named Irmo’s Lake Murray Boulevard. Don served on BB&T bank’s advisory board for 15 years, was a member of Ruritan, and was an admiral in the Irmo Navy. Despite Don’s passion for sports, business, engineering, and his community, his greatest love and achievement are not found in any of these endeavors. Don’s greatest love was his two sons, Don and Tom. His greatest achievement was being their loving father. He was very proud of his boys and had them with him at every opportunity. In Irmo, friends would regularly see Don with his sons in church, at restaurants, and in the gym. Don patiently taught them greenhouse job skills at Jaderloon. Outside Irmo, Don took his sons to his greenhouse work sites, to Atlanta Braves baseball games, and to Clemson football, basketball, and baseball games. In lieu of flowers, the family asked that you donate to the Union United Methodist Church building fund. The Greenhouse Company would like to wish you a very happy holidays. We will be closed for Thanksgiving, Thursday and Friday, November 22nd and 23rd. We will also be closed for Christmas, Monday and Tuesday, December 24th and 25th. Come See Us! Fall Trade Shows Are Coming Up! The Greenhouse Company is open and operational today. Please email, call, or contact us via our website for your greenhouse repair needs. We are fully stocked and ready to assist. Our Engineer compiled the following list of suggestions assuming the worst-case scenario of extremely high winds from Hurricanes. The extent of the preparations will depend on your location and will ultimately be a judgement call on your part. Close roof and any other type of vents. Turn off fans and shutters. To reduce the chance of a fire starting, turn off the main breaker. Cutting plastic is a big judgment call. If the winds are high enough the plastic may come off with no damage to frame, but there is no way to know for sure. If the shade cloth is expensive, you may want to remove it since it is not attached as well as the plastic. 4. Remove smaller objects from area that could blow into greenhouse. 6. Remove shade cloth or add more ropes to keep it in place. 7. If greenhouse has any exposed glass, cover with wood panels. 8. Tall heater vent pipe stacks should be removed if not properly braced. 9. Be sure brace cables are tight and secure. 10. Hanging basket plants should be placed on floor or removed. 11. Make sure inflation blower damper is wide open for maximum inflation in polyethylene. 12. Any outdoor motors can be covered with plastic because of extra heavy rains. 13. Heaters, HAF fans, electrical boxes can all be covered with plastic in case the cover blows off. Please contact us if you have any questions or problems 800-258-7171. As we near the end of summer, the cool fall weather is just around the corner. Now is a great time to evaluate your greenhouse needs for the fall and prepare for cool weather and freezes. It may not seem necessary to check heating systems during the summer heat, but now is the ideal time to make sure your heaters are ready to go for that first cool night or freeze. The summer is a great time to evaluate your plastic coverings and repair or replace any areas that need attention prior to cold weather. Order your Poly-PatchTM kits now to have on hand for the fall. Kits include Poly-PatchTM repair tape, cleaning wipes, a razor knife, and an optional staple gun to make repairs easy. The resealable pail keeps Poly-PatchTM tape like new for future uses! Poly-PatchTM is also available in 2″, 4″, 6″ and 10″ rolls. The Jāderloon® Coldframe greenhouse is ideal for growers. It can be used to cover winter plants in cool weather, as a heated greenhouse in warmer climates, or as a shade structure. 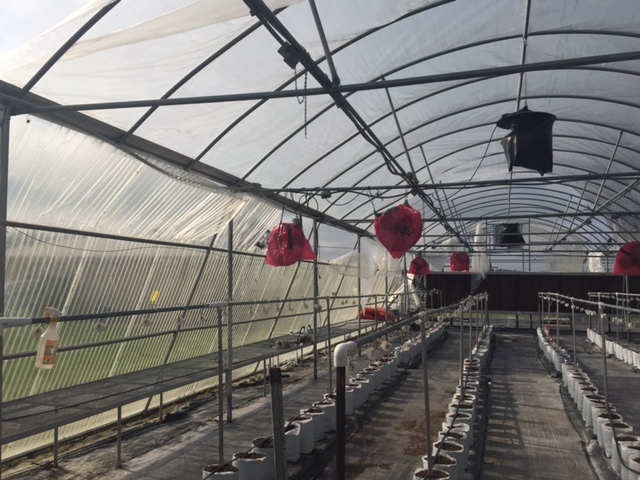 Can your greenhouses withstand hurricanes? 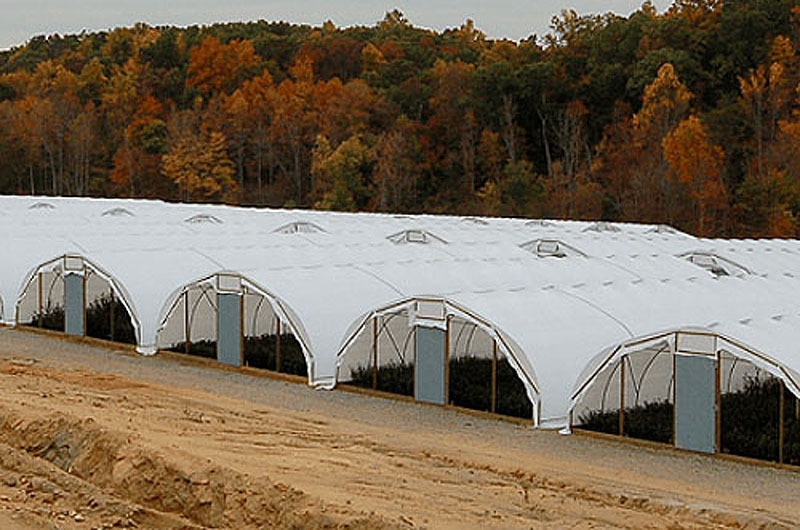 Jāderloon® is proud to manufacture strong greenhouses designed to withstand the worst weather while providing the best protection for plants. © Jāderloon® and The Greenhouse Company™ of South Carolina, LLC. All rights reserved.